Dr. Parveen Bansal, Ph.D. (Biochemistry), D. Pharm., FRSM, FICA (USA) Joint Director, Baba Farid University of Health Sciences (an autonomous body under Govt of Punjab), Faridkot (Punjab-India) has a work experience of 20 years at various positions including Assistant Director, Department of AYUSH, Ministry of Health & Family Welfare, Govt of India, Founder Director Incharge of National Institute of Ayurvedic Pharmaceutical Research (NIAPR), Patiala and Faculty at PGIMER, Chandigarh etc. He represented India as Member 23rd Indian Scientific Expedition to Antarctica. He has to his credit 155 research papers, 11 books and 36 chapters in books and is on editorial board of more than 20 and reviewer of more than 30 international journals of repute. He has been awarded 3 young scientist awards, life time education achievement award in 2006, Gold medal by Gujrat Ayurveda University, Honorary Fellowship of International Council of Ayurveda (USA), WHO in-country fellowship by World Health Organization, Popularization of Sciences Award by APTI (HP Branch), Al-Ameen College of Pharmacy Award for year 2012 , Rai Bahadur Rama Krishana Gold medal Award 2014, EISRA- Award for Excellence in Research, Netherlands 2015, appreciation award by American Medical Residency Certification Board (AMRCB) and International Travel Support Scheme by Department of Science and Technology, Govt. of India in 11th IDDST at Haikou, China and 4th ICMPHP at John Hopkins, USA. 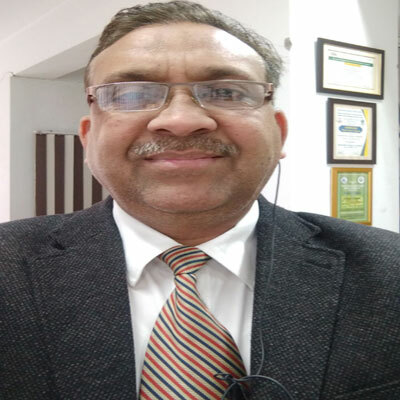 He has attended more than 120 and organized more than 20 national and international conferences with sponsorship of Department of Science and Technology (DST), ICMR, DBT, Punjab State Council for Science and Technology, Department of AYUSH and other organizations. Publishing your research in Journal of Medical Sciences is simple and efficient. You will be guided through the submission process step by step. Before submission of your manuscript, it is strongly recommended to read Guide for Authors to minimize the chances of manuscript rejection.